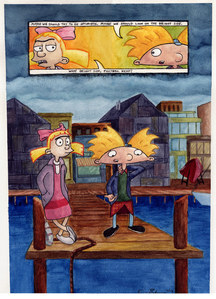 Helga's confession of love to Arnold from the ارے Arnold film. My fave part in the whole movie. And the look Arnold gives her as she's walking away at the end (of the movie). Lets Play: The Sims 4 - ارے Arnold! Style P1 - Welcome to Sunset Arms!